If you are throwing a Spider-man themed party or just have a little guy that is a big Spider-man fan, you will want to check out these cute and easy Spiderman quesadilla bites made by Kellie from Little Nummies. 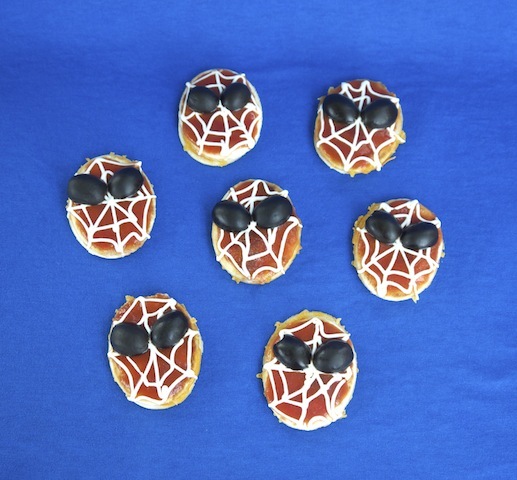 You could easily use this same fun idea with pizza ingredients too, although it might be a little harder to get your string cheese in a fun Spidey web shape. You can check out the full recipe for these Spider-man quesadilla bites over at Recipes.com.